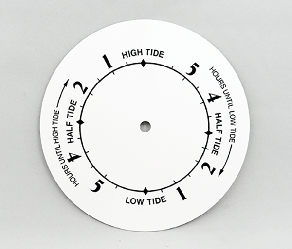 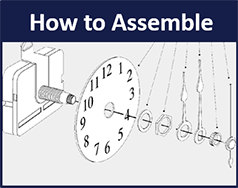 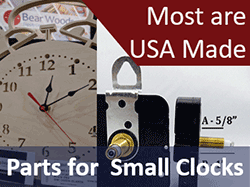 Make your own Tide Clock with our USA Made Quality Tide Clock Movements and Dials. 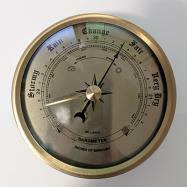 Plus clock-insert style weather instruments! 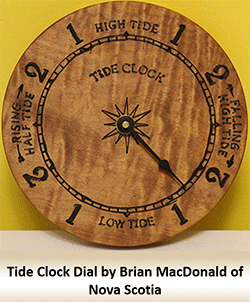 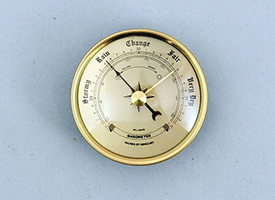 Shop Bear Woods Canada for supplies to make tide clocks and weather stations. 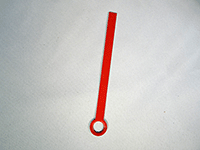 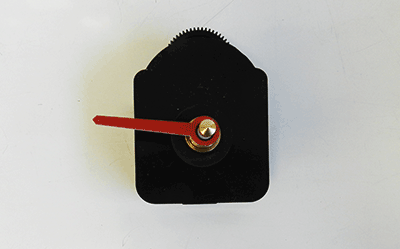 1) Each Tide Clock Movement includes a black spade style tide hand. 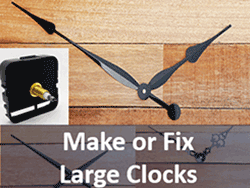 (2-5/8") Need a different size hand? 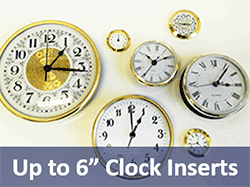 We suggest purchasing a set from our clock hands range up to 4.5". 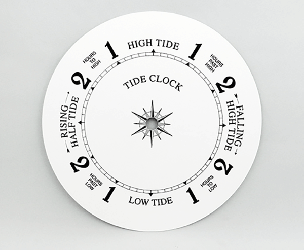 2) Time & Tide Movements include both a set of hands for the time and a red tide hand for the tide. 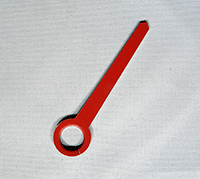 a) Choose your Tide Hand (Red) from below. 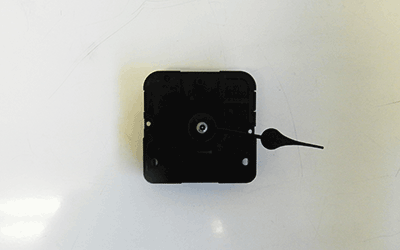 Scroll down to see the two size options for the Red Tidal Hand - add one to your cart for each movement purchased. 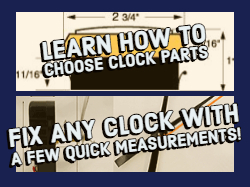 b) Choose your clock hands from our Free Clock Hands page (you will also find this link on each Time and Tide Clock Movement page). 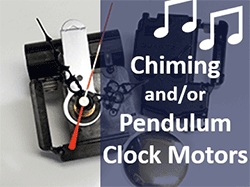 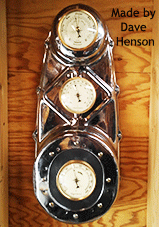 3) All Clock Mechanisms include mounting hardware. 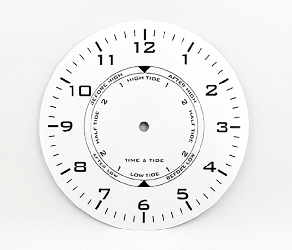 4) Clock Faces/Dials are sold separately. 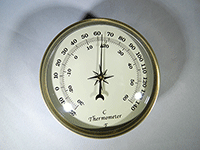 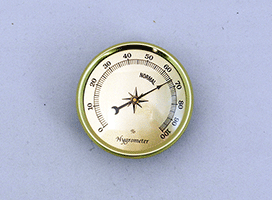 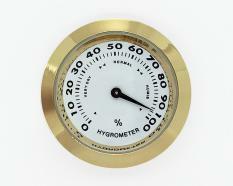 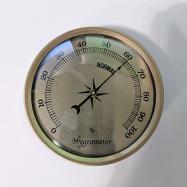 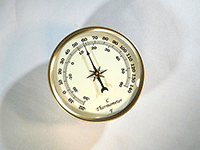 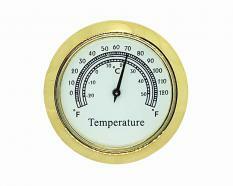 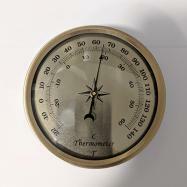 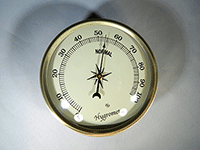 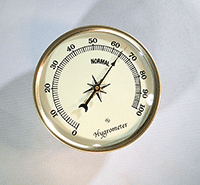 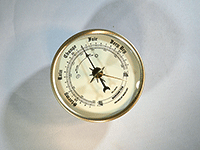 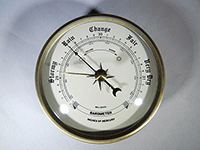 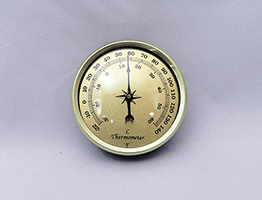 1) Fantastic options available for Barometers, Thermometers and Hygrometers. 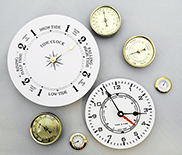 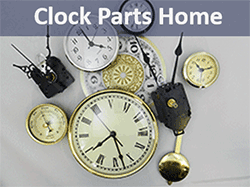 Find matching clock inserts here at Bear Woods also. 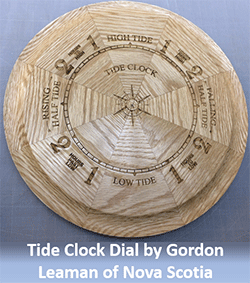 Our thanks to Brian MacDonald for sharing this curly maple example of a tide clock face - wonderful work! 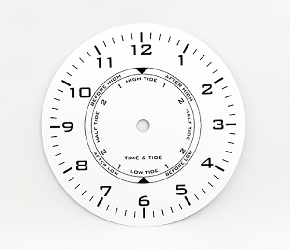 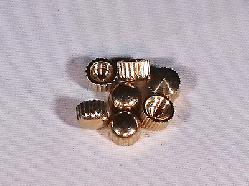 Gold Hygrometer Clock Inserts 2-3/4"
Tide Hand for Tide and Time Clock Movements 1-5/8"
Tide Hand for Tide & Time Clock Motors 3"
Standard Clock Movements & Hands up to 5"